UHD communications lecturer Zeenat Mirtha is a strong supporter of healthcare access for all Houstonians. She is living this mission by serving the city's Ibn Sina Foundation. The Ibn Sina Foundation was established by a group of local physicians and business professionals in 2001 in an effort to bridge the growing gap between the healthcare needs of a rapidly expanding population of underserved families, and the ability of existing public institutions to meet their needs. The vision of the foundation is to increase life expectancy, improve quality of life and enhance chance of survival for low income and underserved families. The foundation recently held opening ceremonies for the North Shepherd Community Medical Center, its sixth service location, which was attended by Governor Rick Perry. All six clinics are dedicated to serving low­‐income families in cardiology, pediatrics, gynecology, diagnostic imaging, oncology and ophthalmology. Since its inception, Ibn Sina has provided free or reduced-­cost medical, specialty and dental care through 450,000 patient visits with uninsured, underinsured or indigent individuals in the greater Houston region including Fort Bend, Jefferson, Brazoria and Galveston Counties. Mitha has served the foundation since its inception by helping with public relations, communications and media requests. She said, "I started volunteering to help get the word out about healthcare for those who cannot afford it. It is a genuine cause that enriches the lives of so many Houstonians. As long as the Ibn Sina Foundation is serving this community, I will continue to volunteer for such a humanitarian cause." To learn more about the Ibn Sina Foundation, visit their website or reach out to Zeenat Mitha. 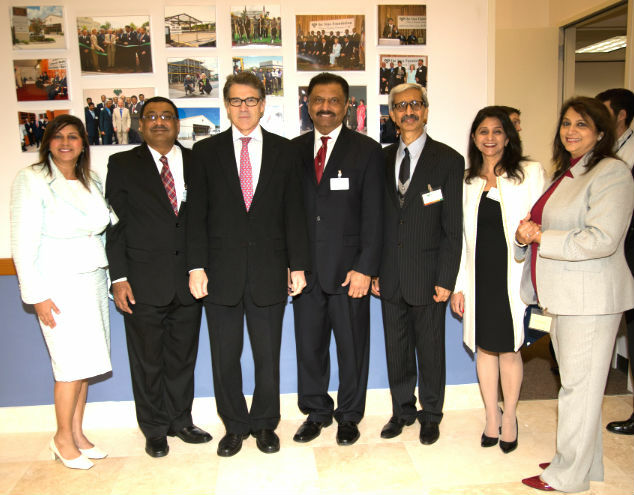 UHD communications lecturer Zeenat Mitha (far left) poses with her contemporaries at the Ibn Sina Foundation along with Governor Rick Perry.